Aspen is known throughout the country as a premiere ski destination. Since 1947, Aspen Mountain has been wowing winter enthusiasts and providing world-class skiing in Colorado. Today Aspen is home to four great resorts, each with its own unique flavor and terrain. Aspen Mountain funnels directly into downtown Aspen. 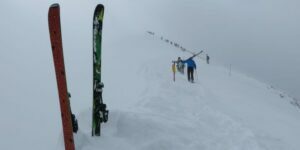 The ski resort is notorious for its steeps and top-to-bottom expert trails. The only thing more legendary than Aspen’s expert terrain, may be the town’s vibrant apres-ski scene. 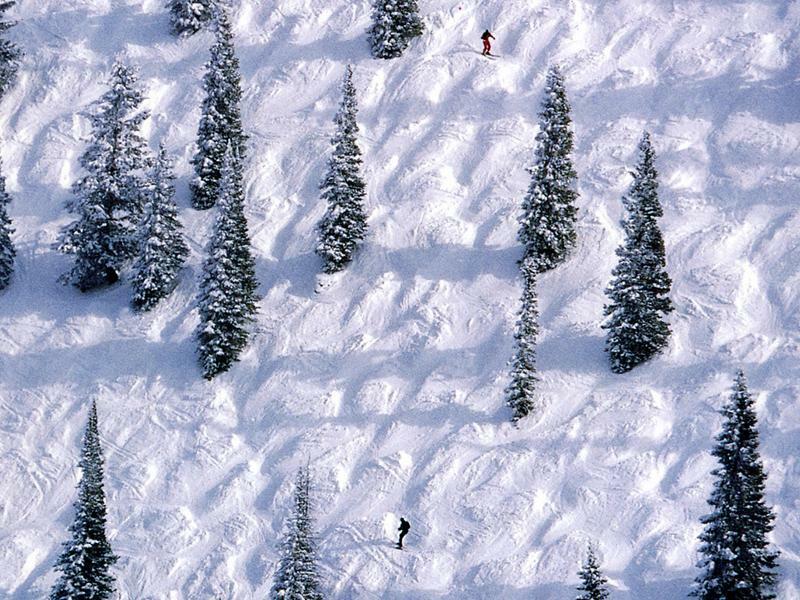 With 675 acres and over 300 inches of light Colorado snow, Aspen Mountain is a fun to place to ski and ride. The trails are lined with beautiful Aspen trees and surrounded by some serious Rocky peaks. A gondola takes you from bottom to top. 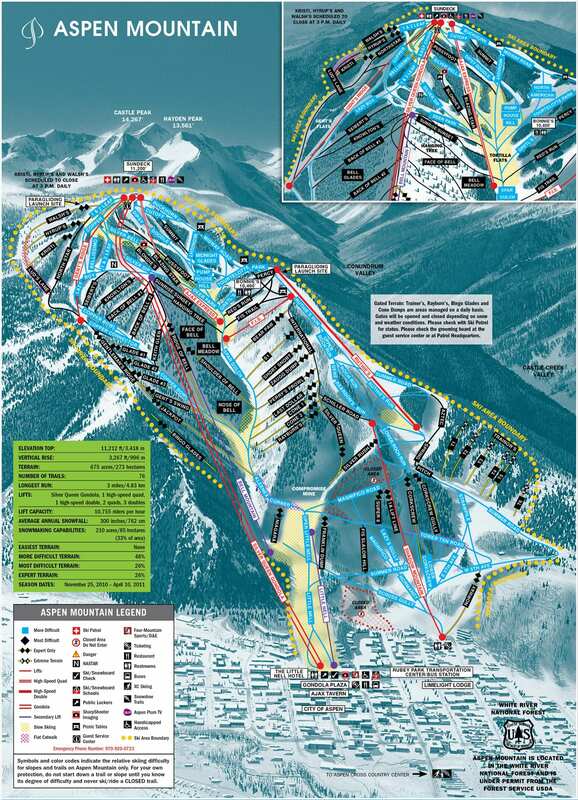 Aspen Mountain has some intermediate (blue) terrain available, but not a single green run. 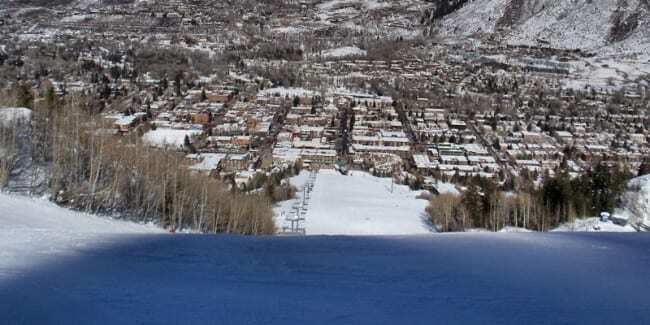 Your best bet for beginners is nearby Snowmass or Buttermilk, both owned by Aspen and part of the same lift ticket, which are good at all 4 resorts. Aspen’s terrain is all about black-diamond runs, offering a variety of steeps, bumps, and tree skiing. 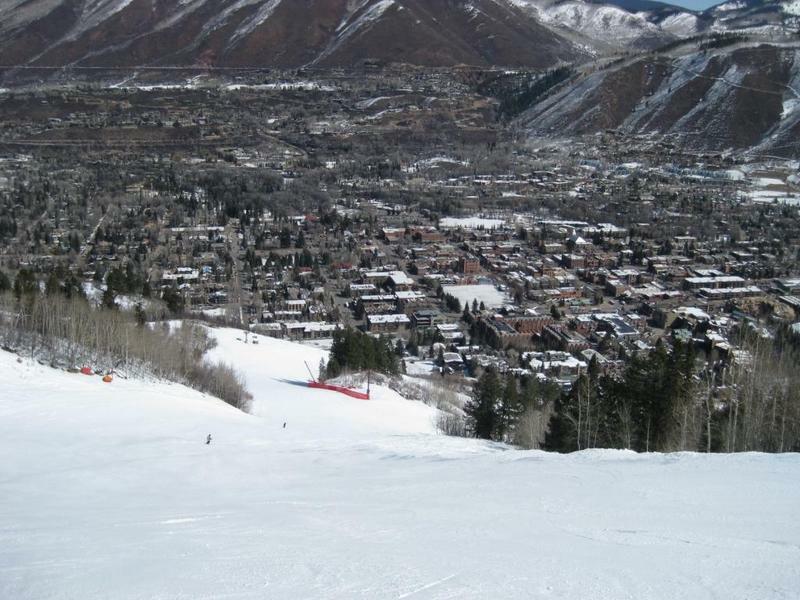 Aspen has a long vertical at over 3200 feet, so your legs are sure to burning by the time you reach the base. If you wanted to, you could ride double-blacks from the summit all the way down into town. There’s 76 runs total. There are four on mountain restaurants: Sundeck, Bonnie’s, Ajax Tavern, and Montagna Restaurant and Bar in The Little Nell Hotel. For rentals and retail ski shopping, there are 4 shops near the Silver Queen Gondola. Aspen is an iconic ski town, “where the beer flows like wine” (dumb and dumber). Any ski town as popular as Aspen is sure to have all the amenities necessary for a world-class vacation. The streets of downtown Aspen are lined with shops, restaurants, spas and more. Aspen is truly a great place to escape from the grind of your normal-day-to-day routine. Originally founded as a mining camp, the town of Aspen is rich in history and culture. Aspen is located near the end of the Roaring Fork Valley in a beautiful part of the Colorado Rockies. Nearby, Glenwood Springs also offers enticing attractions, most notably its world-famous Glenwood Hot Springs, the largest hot mineral pool in the world. Expert mogul run at Aspen Mountain.